NO. 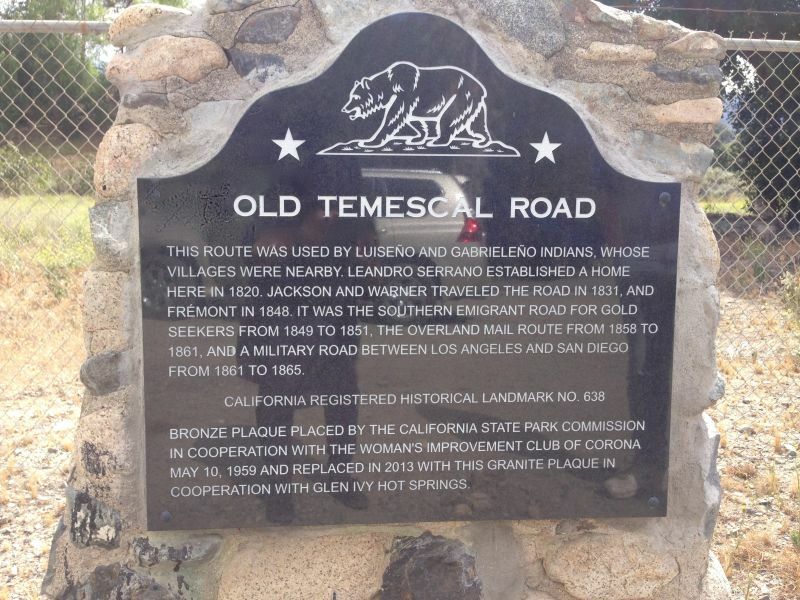 638 OLD TEMESCAL ROAD - This route was used by Luiseño and Gabrieleno Indians, whose villages were nearby. Leandro Serrano established a home here in 1820. Jackson and Warner traveled the road in 1831, and Frémont in 1848. 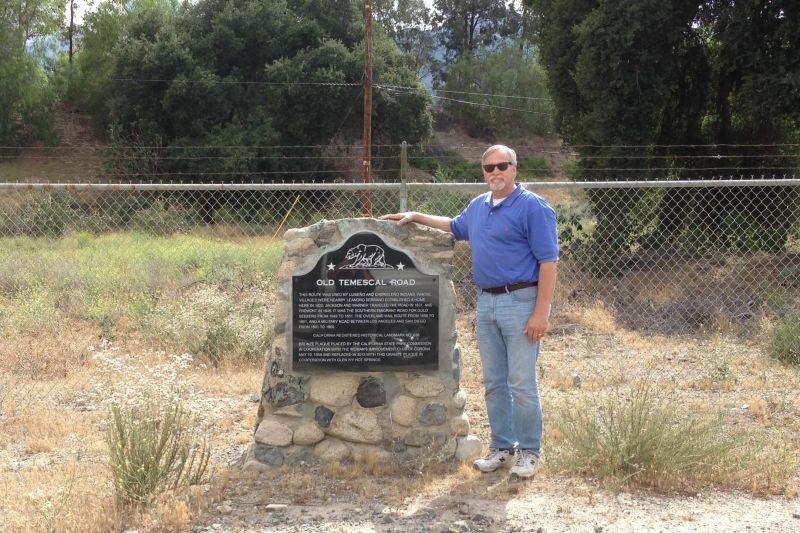 It was the southern emigrant road for gold seekers from 1849 to 1851, the Overland Mail route from 1858 to 1861, and a military road between Los Angeles and San Diego from 1861 to 1865. On Old Highway 71, 0.9 Miles South of I-15 and Temescal Canyon Road interchange, 11 Miles South of Corona ~or~ On Temescal Canyon Road, 70 feet North of Wrangler Way.